As the field of mobile grows current mobile marketing managers and prospective mobile marketing managers need to be aware of every tool in their arsenal. So to give you a quick overview of what is available to you I’ve put together 10 mobile marketing strategies to look at going into 2018. With over two-thirds of Facebook traffic being mobile, Facebook mobile ads can help you boost engagement, and with so many Facebook users there is far more available inventory and pricing options to target customers. Don’t forget about mobile ad options such banner ads, retargeting ads, and display ads within app content. Video has taken off as mobile phones improve and as data costs continue to decrease. By 2018, people will spend about 36 minutes watching videos on their mobile devices, and just 18.5 minutes on all other devices. So investing in mobile video content for your business could make a lot of sense. With different formats for mobile video ads, there are a variety of ways to engage with your audience, as well as get them to click to your website from the device that by their side all day. Remember to keep your content tight, produce videos:15 seconds to 2 minutes to gain traction. Having just a responsive website isn’t a given that you’re going to rank for mobile, with the launch of AMP and instant articles getting preference in search and newsfeeds it won’t be easy to stay on top in 2018. Google are planning to decouple mobile and desktop search to index and perform differently and will rank search results based on the mobile-friendliness understanding Mobile SEO is a good thing to maintain your online footprint. Your website might be optimized for desktop searches, but you’ll need to check with your SEO firm on whether it’s optimized for mobile searches, too. A whole lot of local searches happen on mobile devices with intent to buy, think “restaurants near me”…It’s imperative that your website content uses keywords to attract local customers. Consider long-tail keywords, that include local city name “St. Louis flower shop,” or “Cape Town divorce lawyer.” People look for businesses with those keywords. Mobile devices have become the gaming console of choice for many consumers, so if you have an idea that might engage your audience, it could pay off big. Whether you want to boost use of your mobile apps, get people to redeem mobile coupons, or have users share your content on social media, mobile gamification can help. People like games with rewards and in-game purchases as microtransactions have become a popular revenue stream for many mobile games. Mobile games also offer a place for ad opportunities as users spend time in the platform ad roadblocks and vignette ads on the GDN network are available via the AdMob integration with Google. If you don’t know what a native app is you’re probably still using a clamshell phone. Smartphones have given birth to a new form of packaging the internet in the form of iOS and Android apps being the most popular. Many users of mobile devices prefer apps as their brand interaction of choice and having a native app still holds value in 2018, especially for big brands. Progressive Web Apps offer mobile users an experience that combines the best of the web and the best of apps. They are useful to users from the very first visit in a browser tab, no install required. As the user progressively builds a relationship with the app over time, it becomes more and more powerful. Other benefits are that it loads quickly, even on flaky networks, sends relevant push notifications, has an icon on the home screen, and loads as a top-level, full-screen experience. While maintenance and updates can be done cross-device without app updates need to be submitted and approved by app stores. SMS and now RCS (Rich Communication Services) is a communication protocol that can take place between mobile-telephone carriers and between phone and carrier. SMS is the basic text messaging service while RCS offers a text-message system that is richer experience including images, media, applications and attachments. Due to the introduction of chat apps, the preferred form of communication SMS has taken on a different role and majority of SMS’s are used for business notification and marketing efforts. The reason for this is that SMS demands your attention, with over 93% of SMS’s opened within the first 10 minutes of sending. This kind of access to consumer attention should not be ignored but also used wisely as you can quickly become a nuisance. 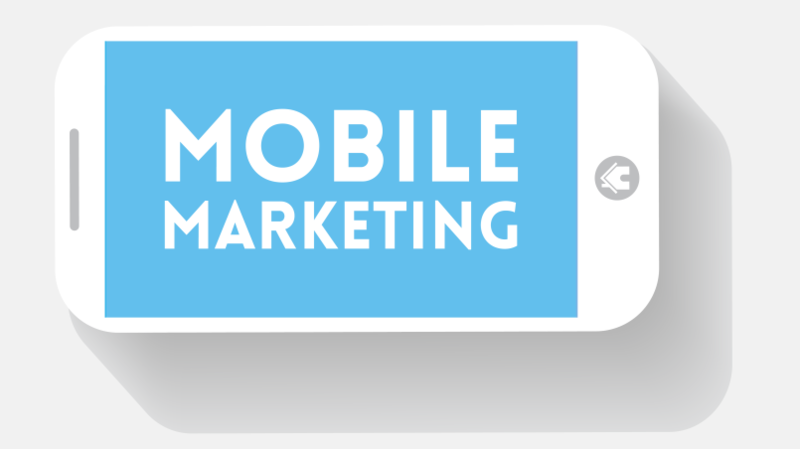 It is never the less a powerful tool for any mobile marketers artillery. A USSD allows users to access various services, such as menu-type applications using a numeric code usually start with * and end with # and can be used on any mobile device regardless of network or operating system. USSD’s also cost little to no money for the user to access and is popular with low-income users and the majority of feature phone users. So if you want to extend your mobile marketing efforts beyond the top LSM’s you should consider looking into USSD options. Shortcodes are a 5 or 6 digit number and are perfect for sending and receiving high-volume messages in the business-to-consumer environment. It makes it easy to remember and can even become a powerful brand tool as your short code number becomes synonymous with your product offering. Shortcodes over a low barrier to entry and take advantage of the SMS protocol in order to send basic communication between businesses and corporates. A geo-fence is a virtual perimeter for a real-world geographic area which has been popularized by apps like Ingress and Pokemon Go. A geo-fence can be dynamically generated—as in a radius around a store or point location, or a geo-fence can be a predefined set of boundaries, like school attendance zones or neighbourhood boundaries. Geofencing has huge marketing and eCommerce capabilities and businesses should look into it in order to bridge the gap between the physical and digital world especially if you have a combination of online efforts with brick and mortar stores. I would suggest picking out one or 2 channels from the list and start by testing out one tactic at a time and be sure to measure the effectiveness before moving on to something else. Once you’ve found the mobile strategies that work for your brand you can then play around with your mix and moving around resources to each strategy to improve your ROI. Mobile webs marketing is here to stay and will continue to grow so early adopters will win this race. If you need any advice on how to handle rich communication messaging or would like some more info on how you could better use bulk SMS to optimise your business, feel free to contact us here.